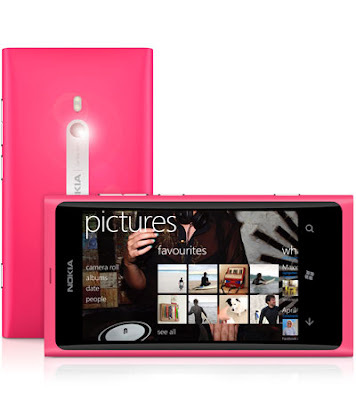 Splendour eye: Nokia Lumia 800 - First Windows Phone by Nokia ! Nokia Lumia 800 - First Windows Phone by Nokia ! 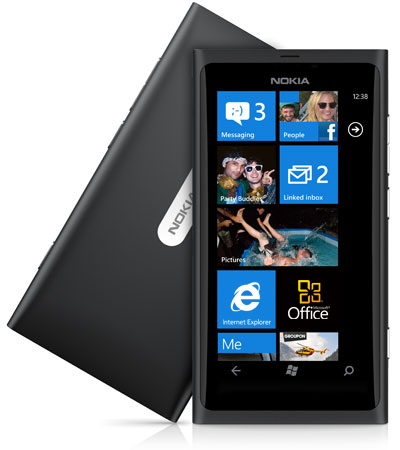 Nokia has unveiled its first Windows Phone, Nokia Lumia 800 ! Since the debut of Android, Nokia's hold on mobile market has loosened to a large extent. But this time, Nokia is expected to come back with a boom into market. Nokia Lumia 800 is one among the two Lumia series phones launched. Lumia 800 has a simple but yet, stylish and beautiful looks. It features a 3.7" ClearBlack AMOLED display with WVGA 800x480 resolution. It can display 16 million colours to keep the view real. The curved glass on display is seamlessly integrated with one piece body. This phone has 512 MB of program memory (RAM) and 16 GB of user memory (storage). 25 GB of free online storage with Skydrive is also available. The 8 MP camera and 28 mm wide angle Carl Zeiss lens with LED flash brings every picture you take into life. It can record videos in HD (720p, 30 fps) with auto focus and touch focus. Battery survives for 13 hours of talktime on GSM and 9.5 hours on WCDMA. Battery life in standby mode is very impressive but for browsing, it is of just 4.5 hours. Lumia 800 is business ready with Microsoft Office available on your phone ! 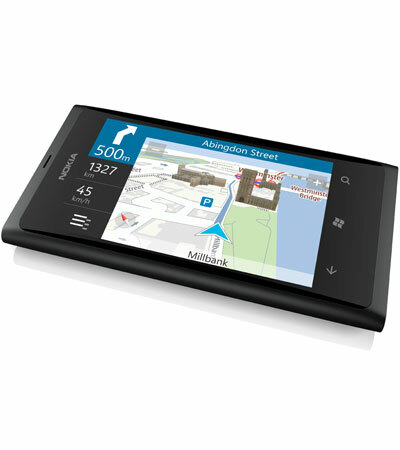 Integrated GPS, A-GPS, Nokia Maps (to be downloaded from marketplace), Bing maps make navigation easier. Preloaded with many popular games and Xbox Live Hub, enjoy a better gaming experience. Over all, Nokia Lumia 800 is quite identical to Nokia N9 ! 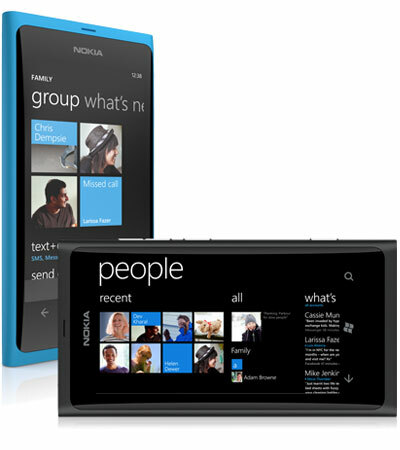 From looks to features, Lumia 800 is duplicated from N9. The only feature that distinguishes Lumia from N9 is, it runs on Windows Phone platform while N9 runs on MeeGo. Though its performance capability is less than N9, initial reactions have been good for Nokia Lumia 800.
pappu phone, compare it with Samsung Galaxy S II dual core, 1gb ram & 1080p full hd recording while nokia is single core only,only 512 ram & only 720p hd recording while price of both are same. Most importantly, 800 is windows based phone, which has no proper apps base. Android have around 4 lakhs of apps, 80% of them free. So you can make better out of it. Iris - Siri of your Android ! Tokyo Sky Tree - The Tallest Tower in the World !